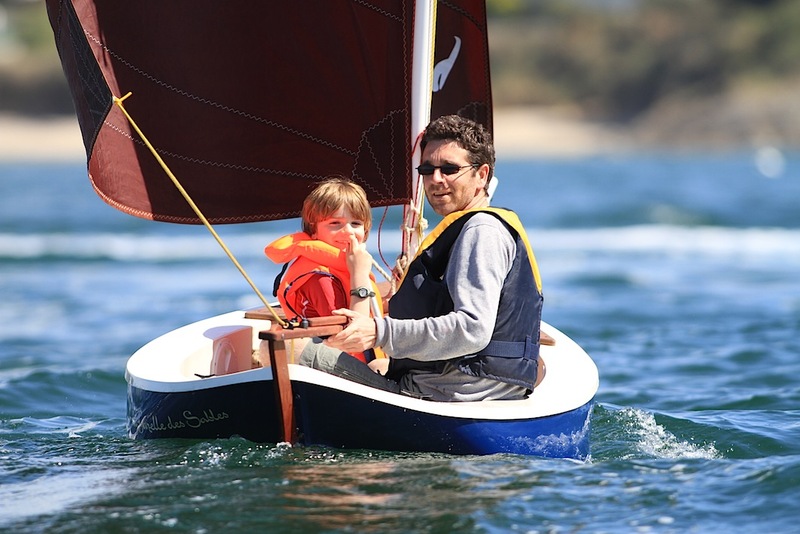 For sailing enthusiast to experience the thrill of an agile and elegant keelboat with versatile sails that the whole family, from beginner to expert, will love. Fractional gaff rig, the easiest to manoeuvre! 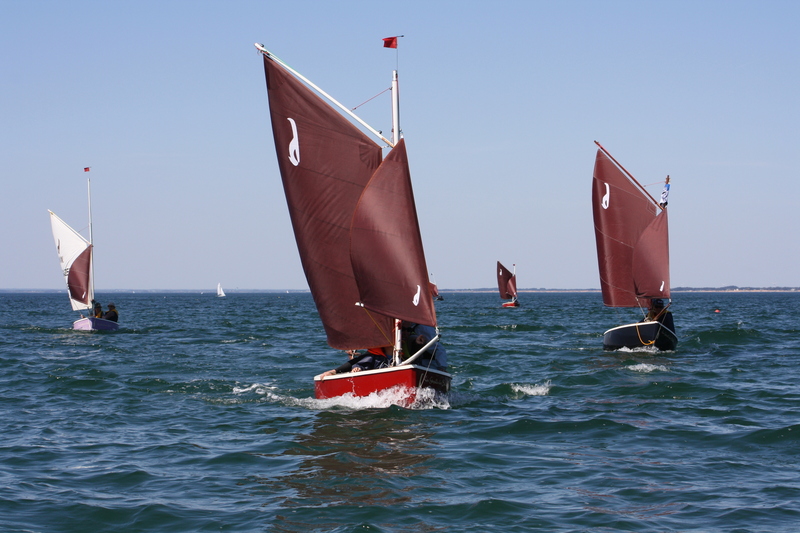 You can change the sails to suit your mood and they couldn’t be easier to lower in case of strong winds…no risk doesn’t mean no fun. 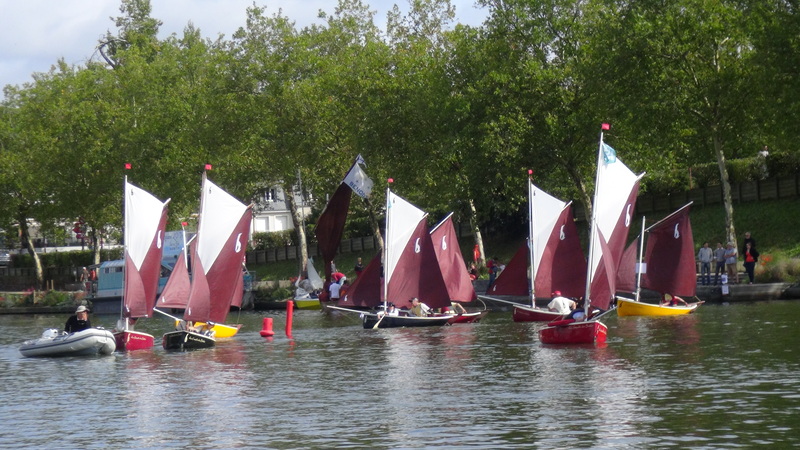 Light sailing? This will float your boat! 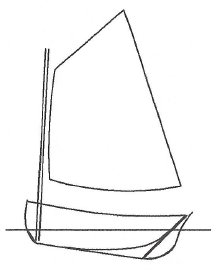 Super-stable, comfortable and safe cockpit, unsinkable, self-righting, boomless, scalable sails. 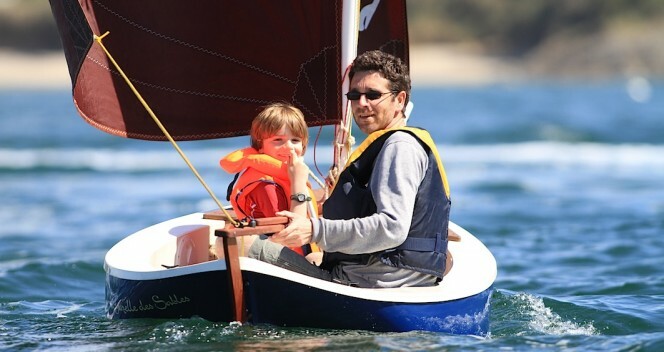 Set sail solo, with your family or friends. No boom, no daggerboard trunk, no protruding accessories. 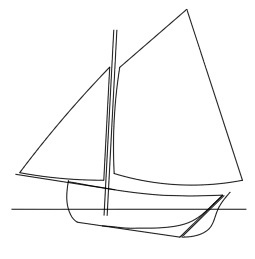 Options : Gennaker, Spinnaker, Top-sail, etc. Can reef points be added to the mainsail? 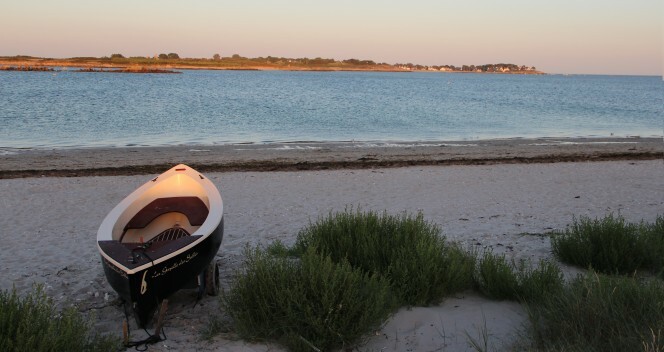 Naval architect and designer Patrick Besnié would like to share the philosophy behind his boats! First of all: absolutely no reefing!!! Why? 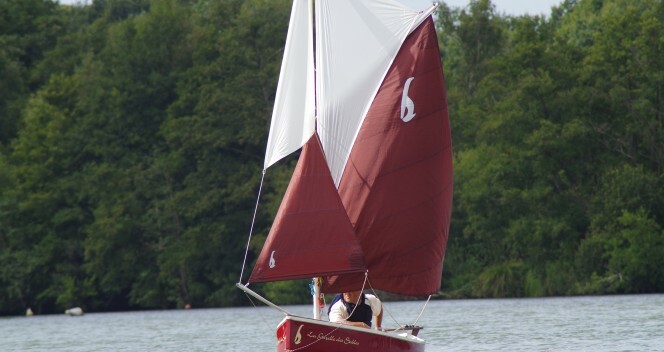 Because fractional sails are far easier to lower. There’s no point trying something complicated or dangerous when the wind means you should lower the sail. 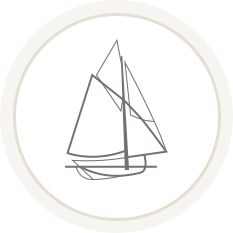 In a matter of seconds you can fold our sails in total safety: move from 4 sails down to 3, then 2 and finally just the 4m² mainsail either as a gaff cutter or catboat. 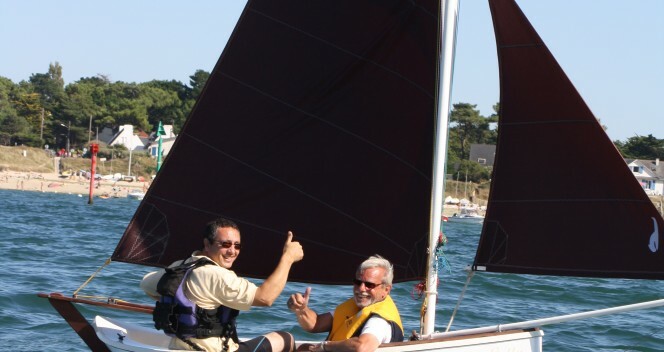 This feature was much appreciated by our clients in August 2012 when the wind quickly strengthened in 10 minutes and made the sea choppy: beginners who set off with 3 sails in calm conditions were surprised by the sea…and returned smoothly in the swell with the mainsail alone. How does it perform when you ride it on the waves? 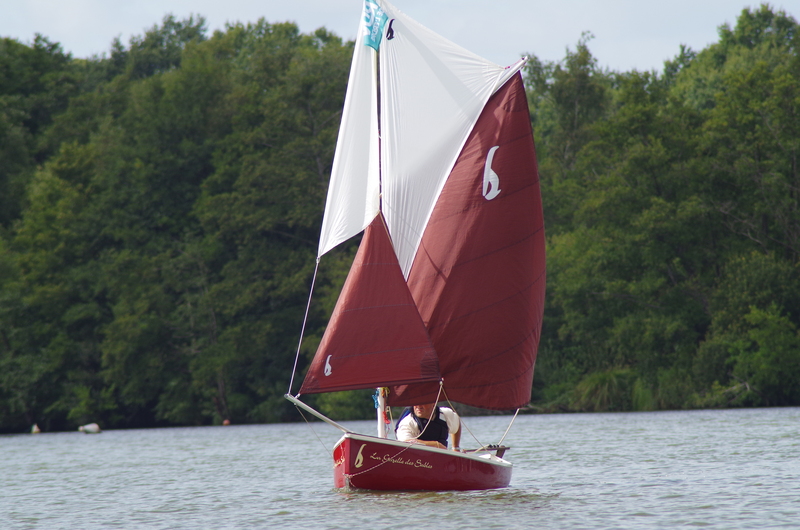 The Gazelle Des Sables’ pointed stern breaks up the swell coming from the rear (without hitting so no braking) and rides the waves. Its high stability lends support. 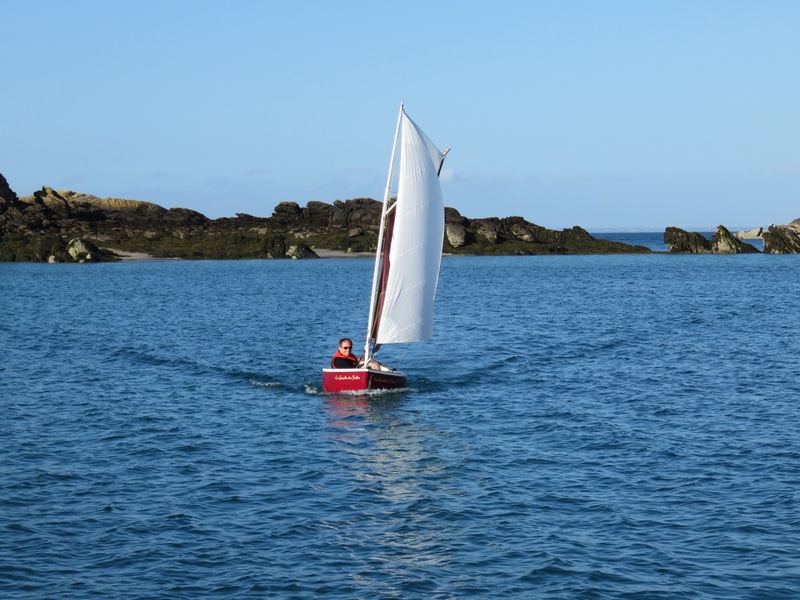 If you control it well, consider shifting weight on board and avoid thrusting at the stern, the sailboat is so balanced that you can even let the tail wind steer you. That proves who amazingly it performs. 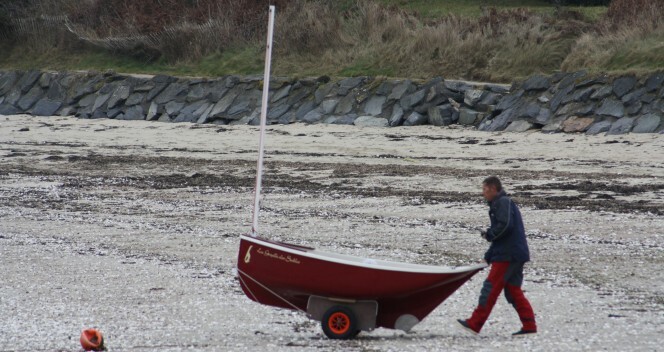 Don’t worry about gybing in favourable or unfavourable winds: no boom means no boo-boos! The Gazelle des Sables’ very design brings safety and stability together with its 70l ballast, lateral unsinkable girder (foam) and hull. Putting these features together gives you a self-righting boat. 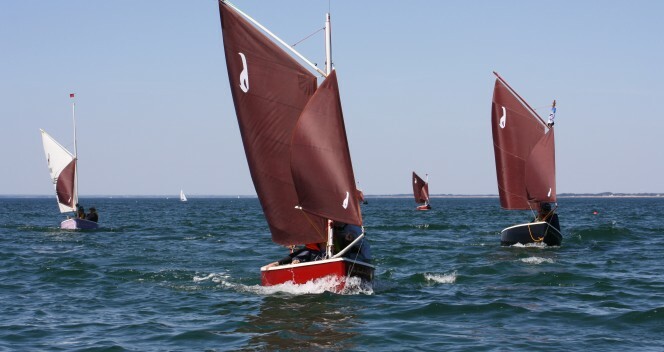 When sailing dinghies “bang” into the swell, the Gazelle des Sables floats smoothly…and sails on whilst others wait for the weather to change on land. I have a limited budget. What’s the best-value standard option? 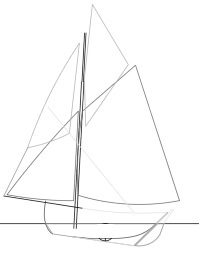 You could choose the single sail C1 model that you can scale up over time. You can add any fittings and accessories which means you can start hinting at Christmas presents! Do the sails come with halyards and sheets? 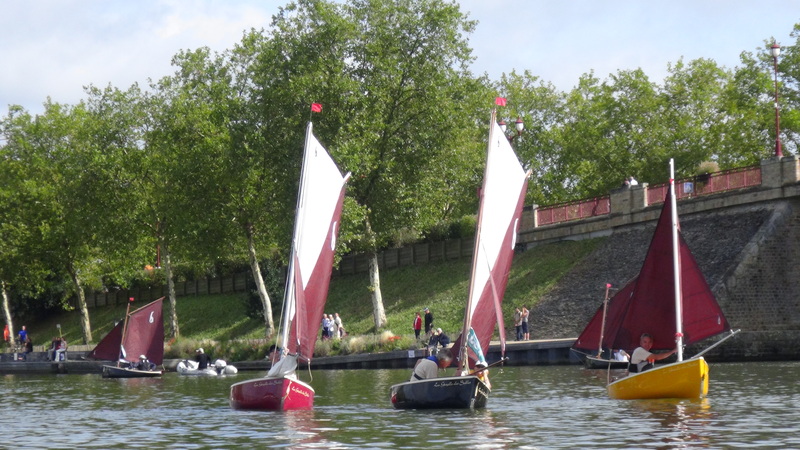 Whether you choose a standard or customised model, all our boats leave the workshops ‘Ready to Sail’ and include compulsory safety equipment. All you need to get are life jackets as they depend on the size of your crewmates. How are the oarlocks fitted? Can there be sculls instead of oars? Can we have a name put onto the hull? Do you have finance options? What’s the leadtime? Which hull colours are available? 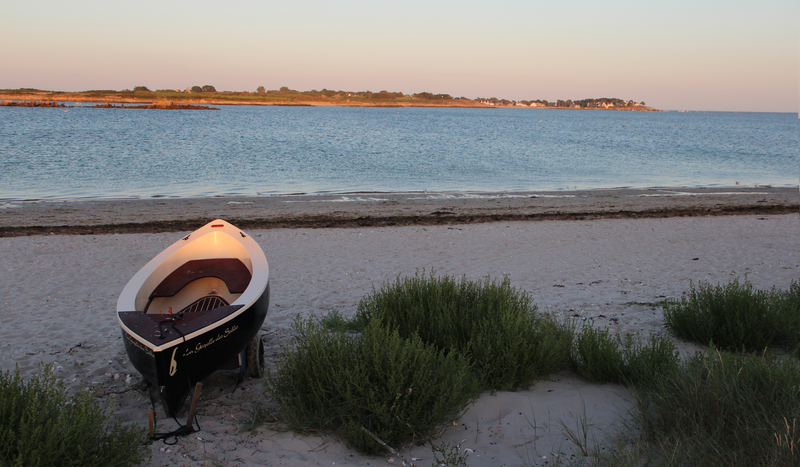 With over 200 boats at sea, you can find your answer from 200 reviews. You get peace of mind and we get a helping hand: call our 7/7 hotline on (00 33) (0)6 61 38 17 80 and enjoy the customer service you deserve now and throughout your time with your boat. The E3 trailer model is the easiest and fastest for travelling. 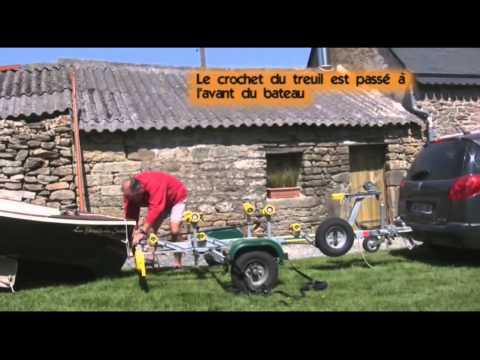 But that isn’t all that makes the most of the Gazelle des Sables’ compact size: launching trolley with beam and harness, flatbed trailer, van etc. To each their own. 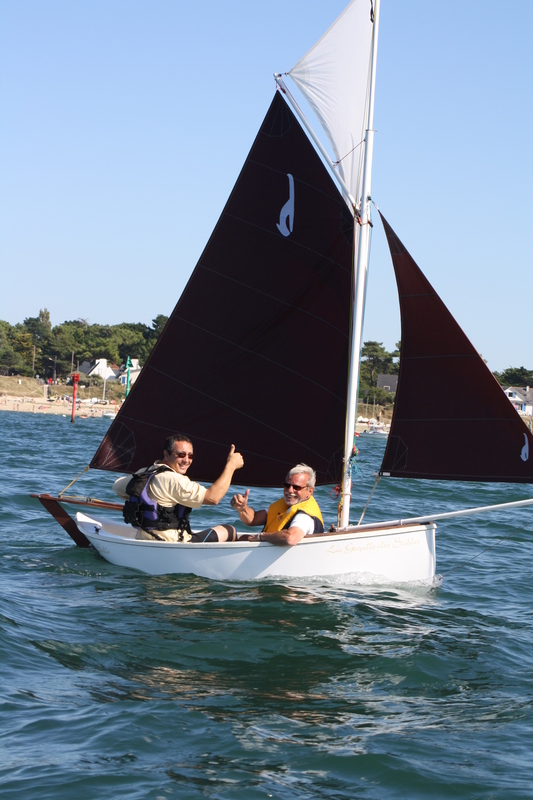 I've never done sailing before; will a Gazelle des Sables suit me? 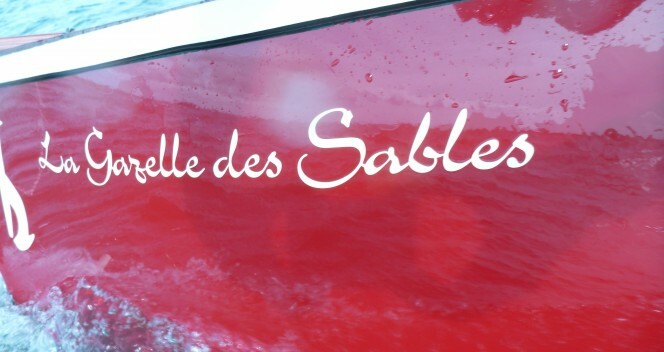 The Gazelle des Sables meets the expectations of all who sail for pleasure. 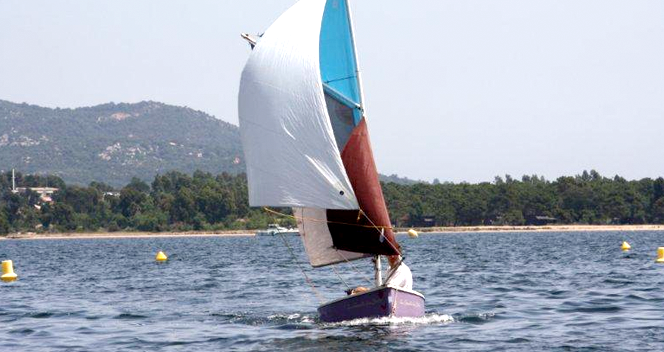 Advanced sailors can equip it with 4 sails for maximum power. Beginners can start with a single sail; this is known as "cat-boat". 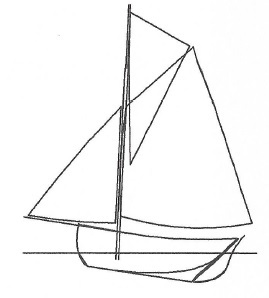 Then progress to a second sail (self-furling jib) followed by a third (topsail). 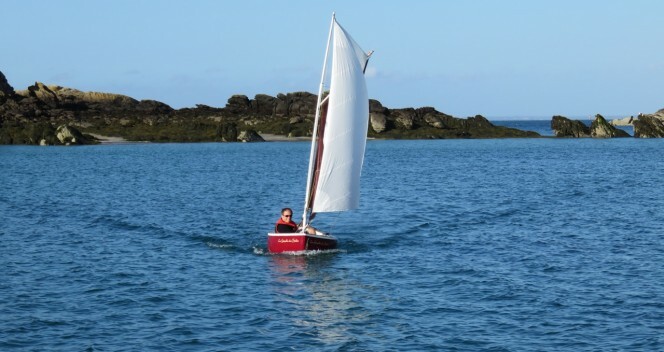 This is the great advantage of the fore-and-aft rig: very simple, easily adjustable to whatever you wish, to help you enjoy sailing without missing anything. 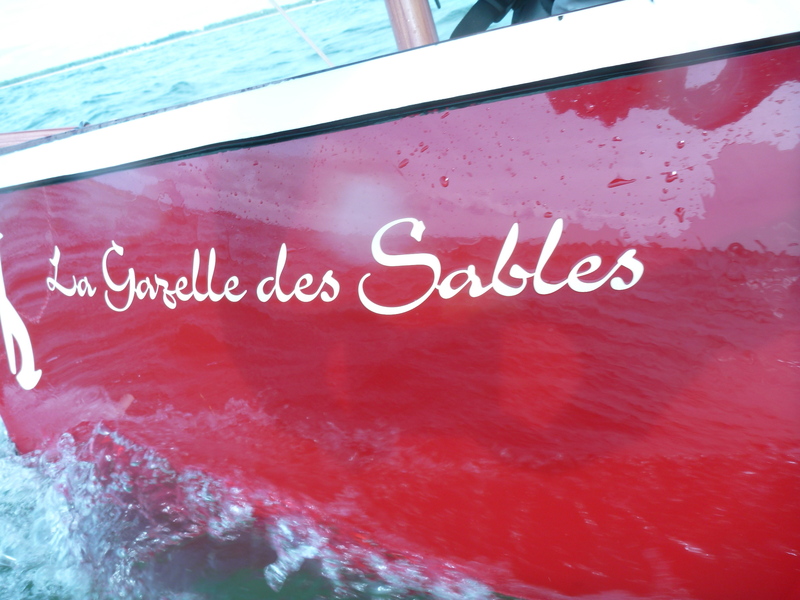 Can the Gazelle Des Sables go to sea? Absolutely! 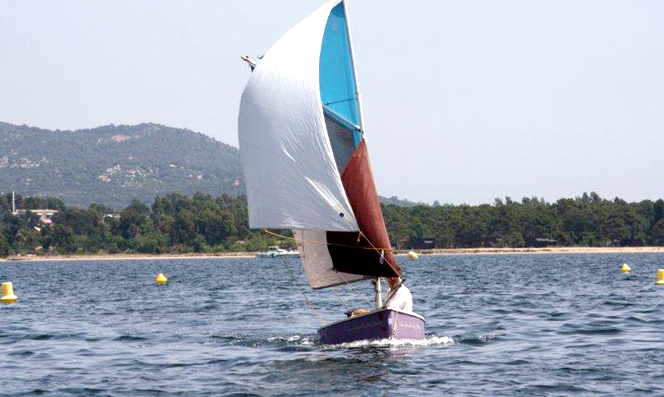 The Gazelle des Sables can sail in all kinds of environments, including seas and oceans. 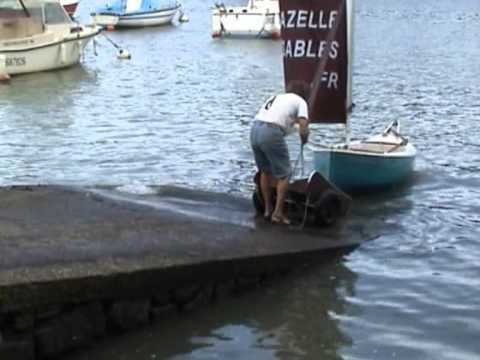 It can be found everywhere when conditions require added safety in boats. 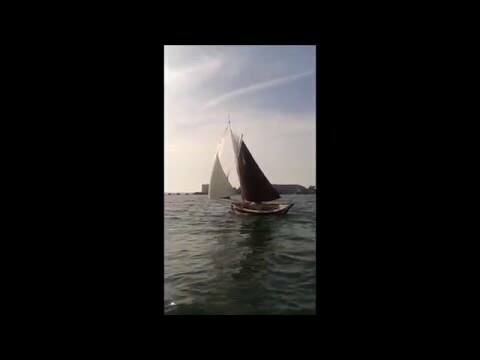 Its sailing navigation category is D.
Can I install rowlocks ? 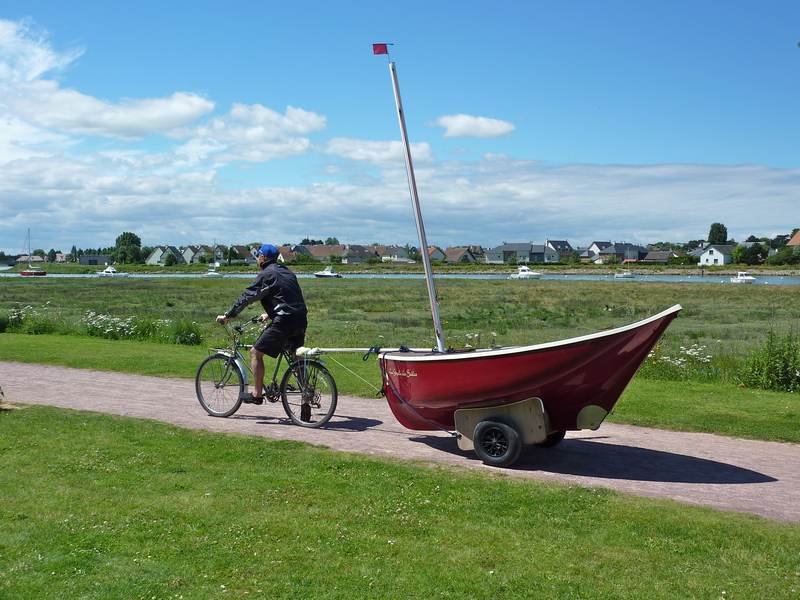 Can sculls be used instead of oars? Can I ask for a name to be put on the hull? Do you offer finance arrangements? How long is production? What hull colours are available? With over 400 vessels, we can find the answer that suits you. What is reassuring for you is comforting for us! Can I leave my Gazelle des Sables outside? Absolutely! 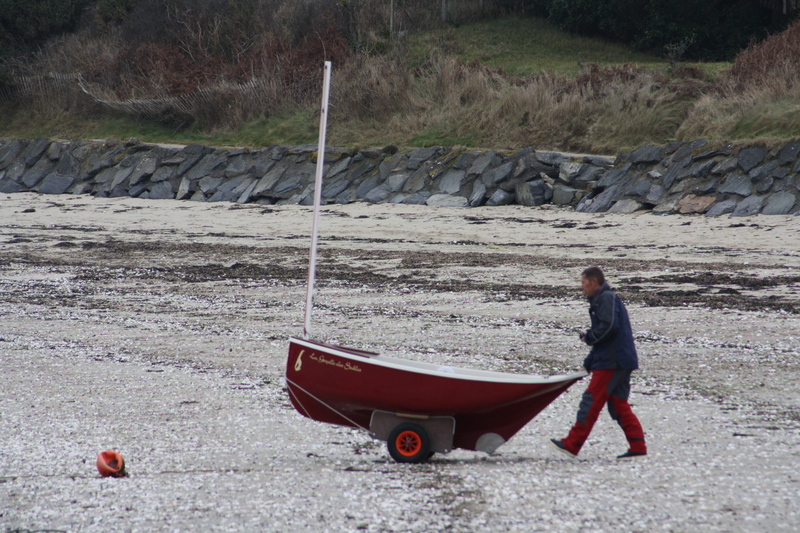 All our vessels can stay outside all the year round. 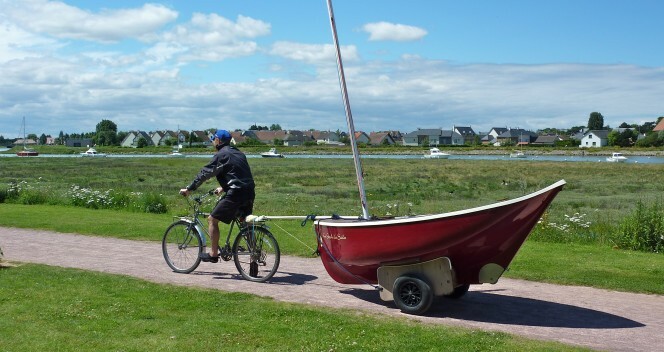 In some cases, we recommend a protective cover to keep your vessel safe from dirt and bad weather.